Development is continuing at a very rapid pace. We are already marching towards the next big release of the app. So far we are keen on adding a Visual Editor, a Notification Area and support for Featured Images. Want to help out? 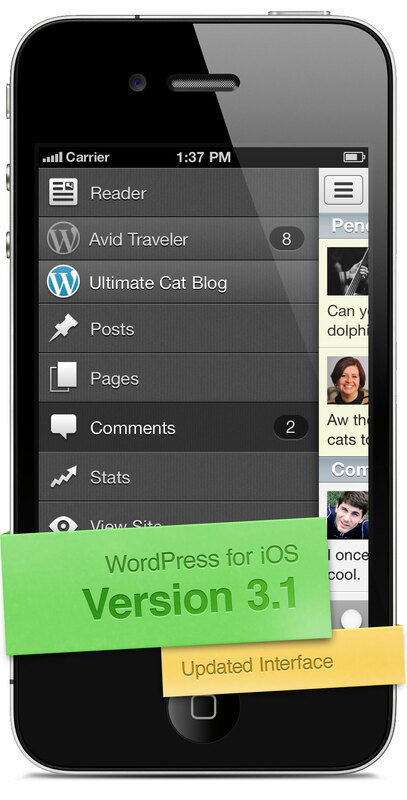 Check out make.wordpress.org/mobile and the WordPress for iOS dev blog to see how you can get involved! We’ve had the most contributors ever for this release! Big thanks to koke, aerych, irbrad, isaackeyet, daniloercoli, beaucollins, mrroundhill and pento! What do you think of this update? Leave us a comment here or follow us at @WordPressiOS to get in touch with the team.